moment. 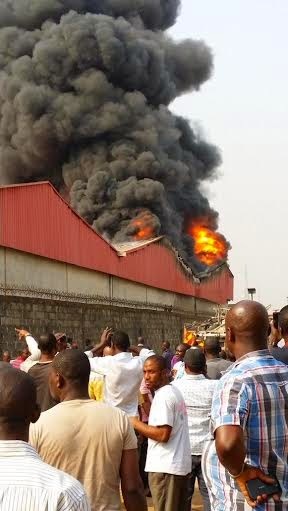 The cause of the fire is unknown but it's burning with great intensity and is spreading to other parts of the factory. 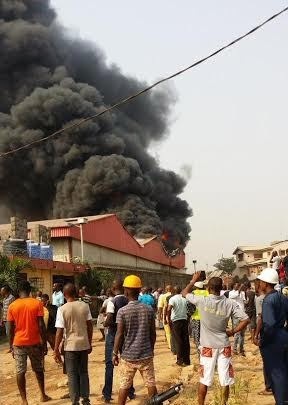 Men of the Lagos state Fire service are urgently needed there.